Quick, simple and accurate reading of the content of plant available nitrogen in wet and dry manure. Accuracy as lab.-test. The test takes 5 minutes and the result is given in kg N/m3 or lb N/1000 US gallons. The equipment contains reagent for 50 analyses. 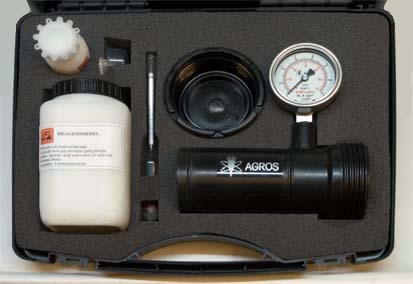 The equipment also contains a dry matter and phosphorous meter. On Directions for use with pictures below, you can see how the equipment is handled. The equipment is, during the time, further improved and till now it is delivered to 56 different countries. Quick, simple and accurate reading of soil Nitrogen. Accuracy as lab.-test. The test takes a few minutes and the result is given in kg N/hectare. 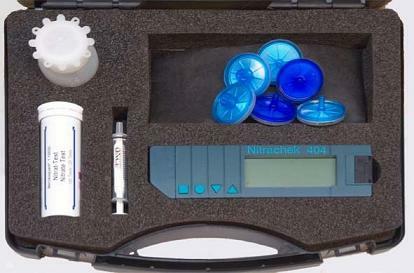 The equipment contains Nitrate sticks, a reflectometer to read the sticks, filters and calibration liquid. Samples are taken from the soil, using Agros soil auger (or similar). Mix the soil in water. Filter a few drops of the mixture and add a drop to a Nitrate stick. Insert the stick to the reflectometer. The result is translated from ppm Nitrate to kg N/hectare by a table. Everything is included in the equipment (except bucket, water and an auger). 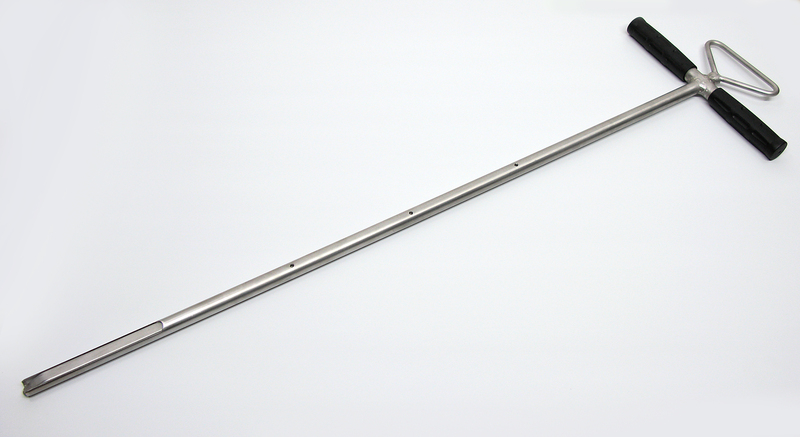 The soil auger is made of stainless steel. You take 10 - 15 samples, 15 cm deep at a time, down to 60 cm (or less). The auger is slim, to make it easy to penetrate into heavy soils. The auger is made to suit the Soil Nitrogen Meter and all types of soil sampling.